Newly remodeled home located in the private community of Summer Place on the desirable west end of the island. This property is your special getaway with all the comforts of home. 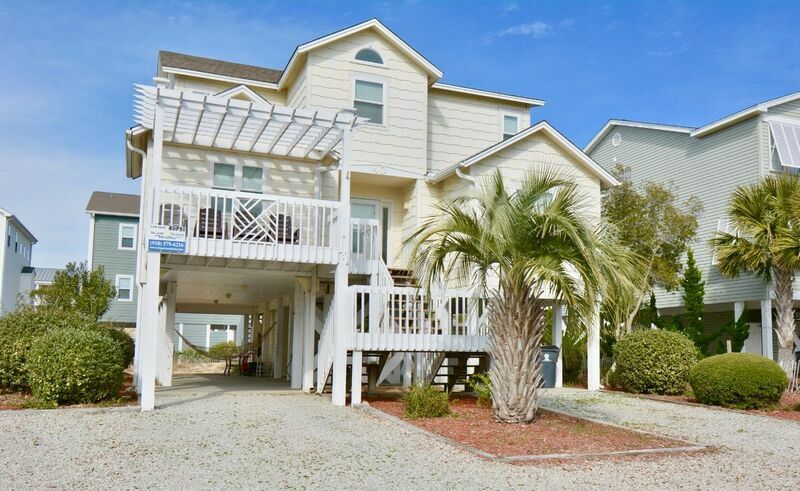 Wireless internet access, televisions in each bedroom Beautiful views of the Atlantic Ocean from the front deck. Enjoy an evening movie on the 50" Plasma TV located in the family area. Very well stocked kitchen with new granite countertops. Large kitchen table. Other amenities include a gas and charcoal grill, wireless internet access, DVD players, multiple high chairs, pack 'n play, full size crib, washer/dryer, dishwasher, and outside hot and cold shower. Non-smoking and no pets. This family-friendly home accommodates 12 in 5 bedrooms/4bathrooms. All the bed and bath linens will be provided for your stay. Bedding: Lower Level: Queen, Queen Upper Level: Queen, Queen/Double, King.